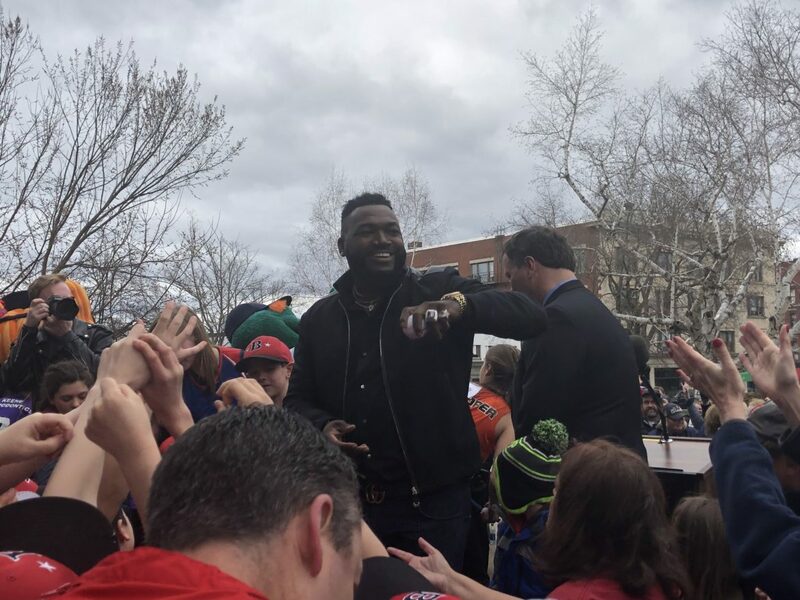 Big Papi David Ortiz thrilled fans at the State House in Concord on Wednesday. CONCORD – Big Papi David Ortiz helped the New Hampshire Lottery and the Boston Red Sox launch the $5 Boston Red Sox™ 2018 World Series Championship™ scratch ticket Wednesday at the State House Plaza in Concord. Legendary slugger Ortiz and Lottery Executive Director Charlie McIntyre met with fans and well-wishers. Along with having the chance to take pictures with Wally the Green Monster and Tessie the Green Monster, fans tried their luck at catching (Nerf) baseballs thrown by Big Papi and the assembled group. 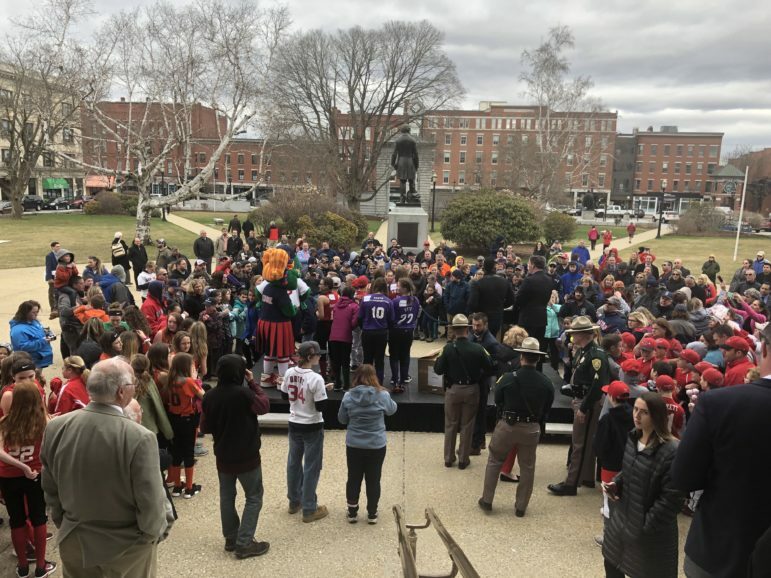 As part of the ticket launch event, the New Hampshire Lottery is honoring nine deserving youth softball and baseball players. The nine “All-Stars” will each catch a baseball thrown by David Ortiz.